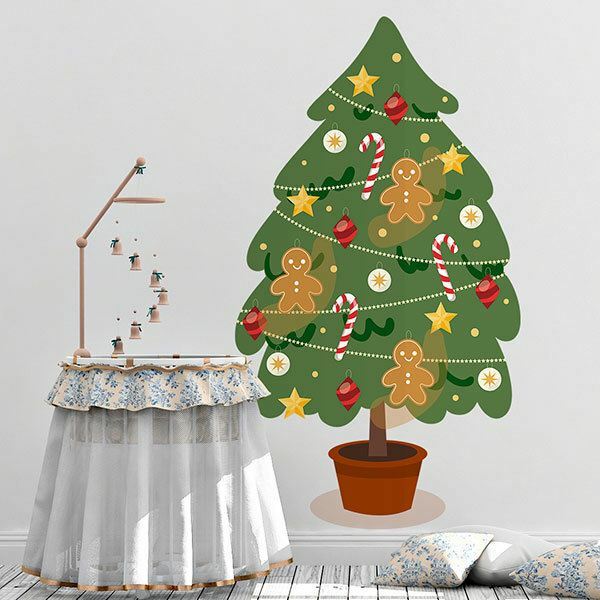 Kids wall sticker Decorated Christmas Tree. 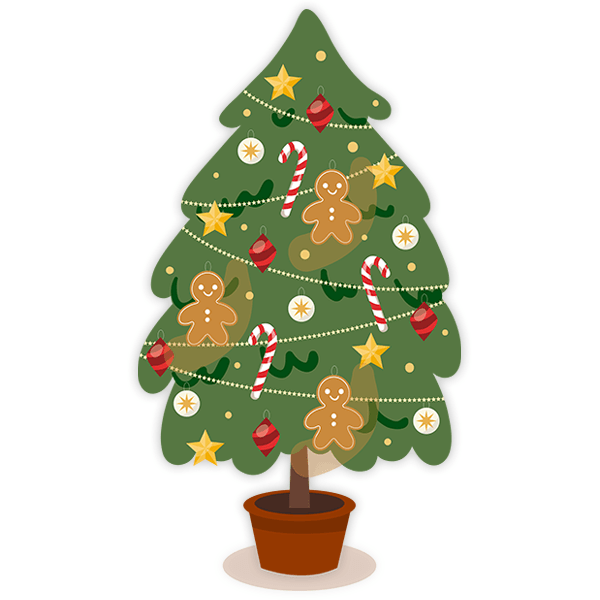 Christmas tree that doesn't lack detail. Balls, stars, cookie dolls and candy canes. Everything is ready to spend a few days with the family, eat, laugh and sing Christmas carols. With this design you will put a point of originality in your home. Size: 27 x 15 cm. 8.27 x 15.75 in. 10.63 x 19.69 in. 12.60 x 23.62 in. 14.57 x 27.56 in. 16.93 x 31.50 in. 18.90 x 35.43 in. 21.26 x 39.37 in.